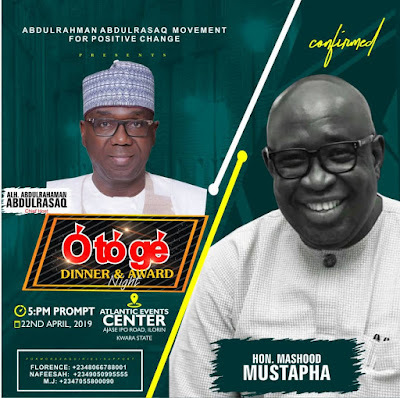 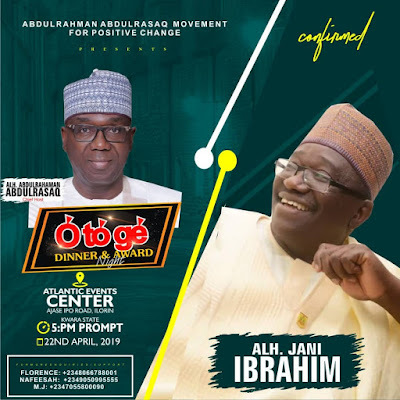 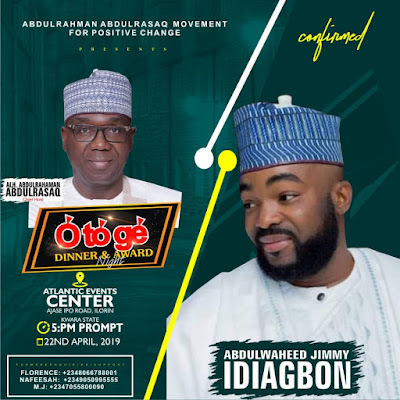 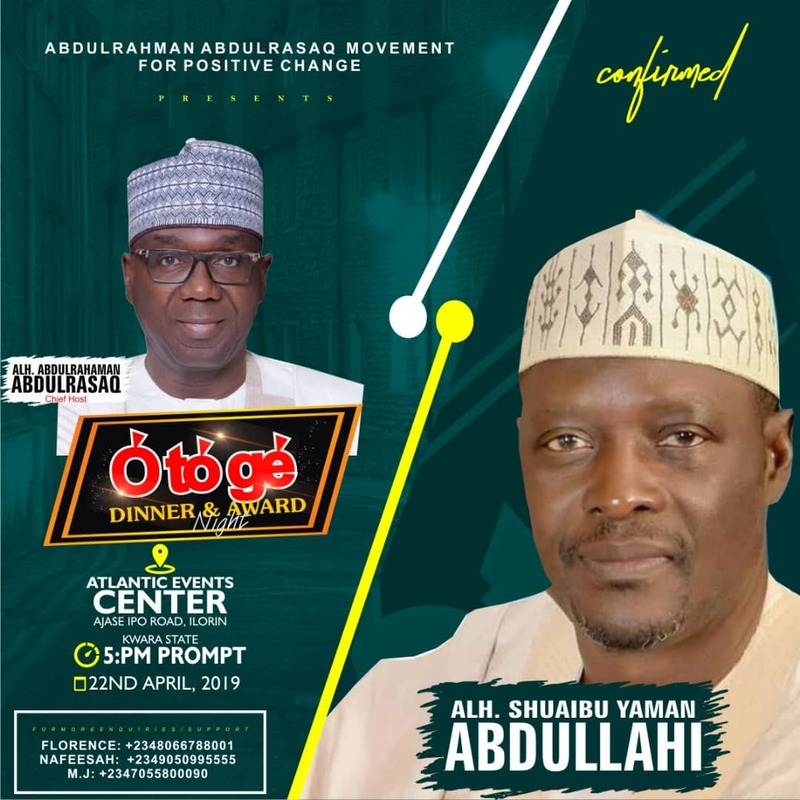 AbdulRahaman Abdulrazaq Movement For Positive Change (AAMPC) is a socio-political organization aimed at promoting and supporting the emergence of Alhaji Abdulrahman AbdulRazaq as the Governor of Kwara State. 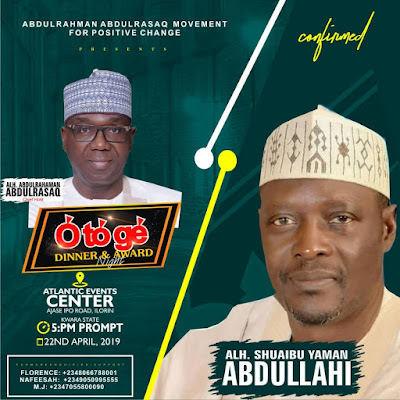 As part of the mandate of the organization it helps to coordinate youth organizations working as support groups for the All Progressives Congress in Kwara State. 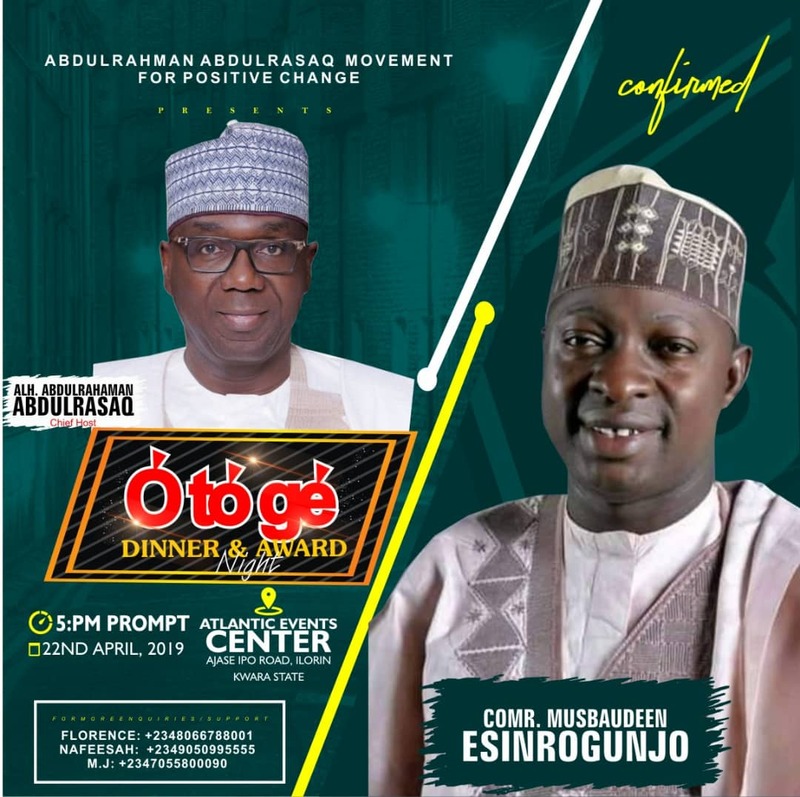 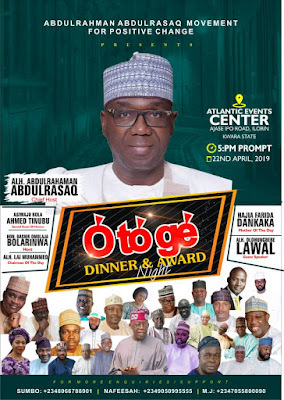 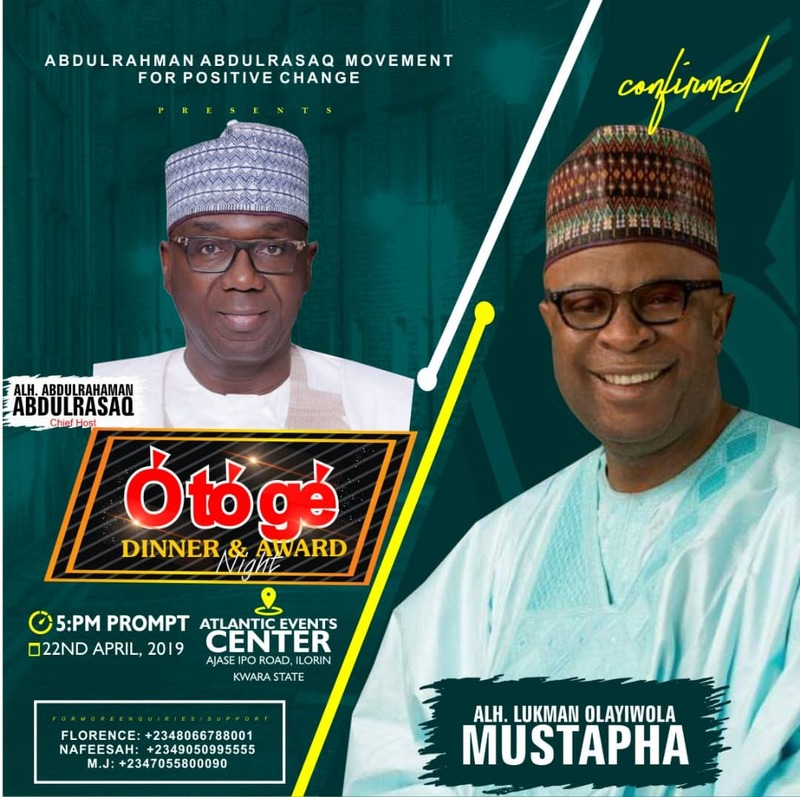 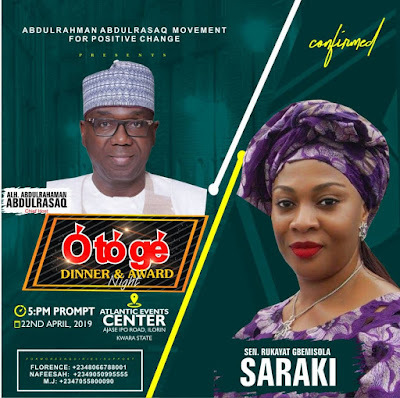 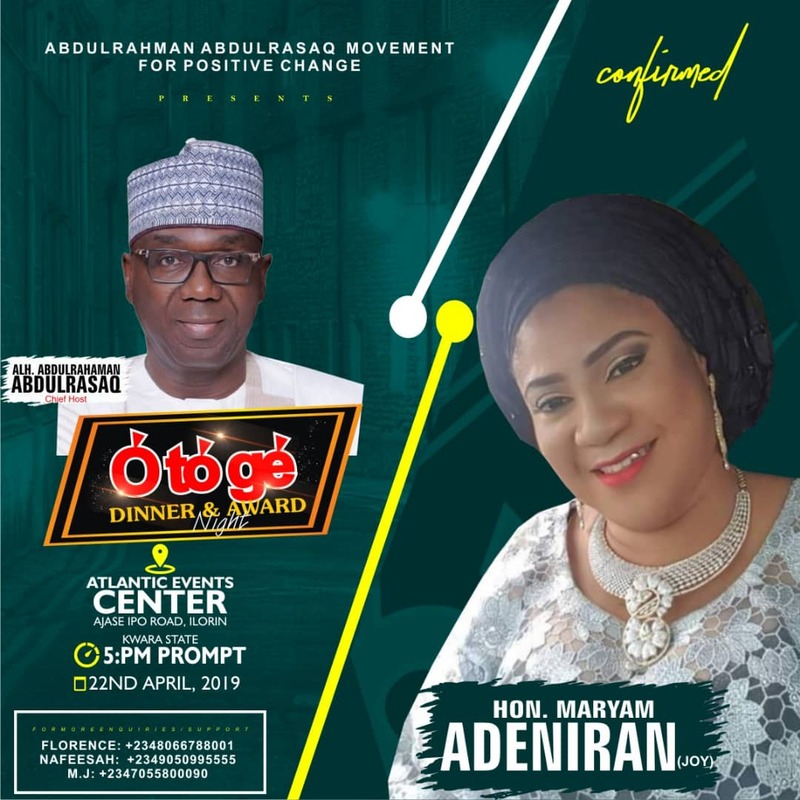 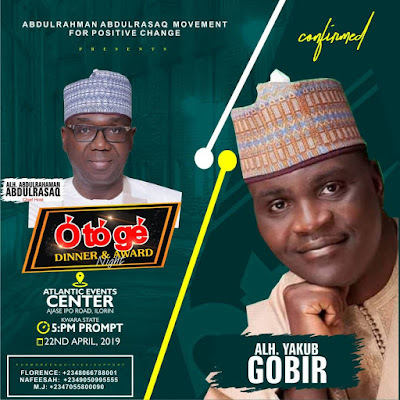 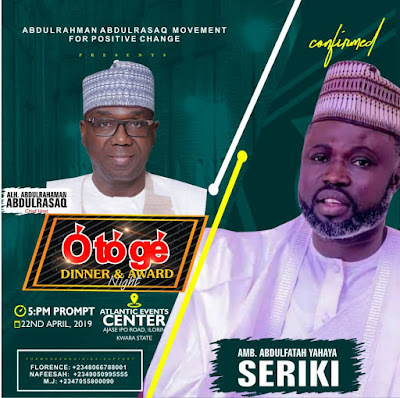 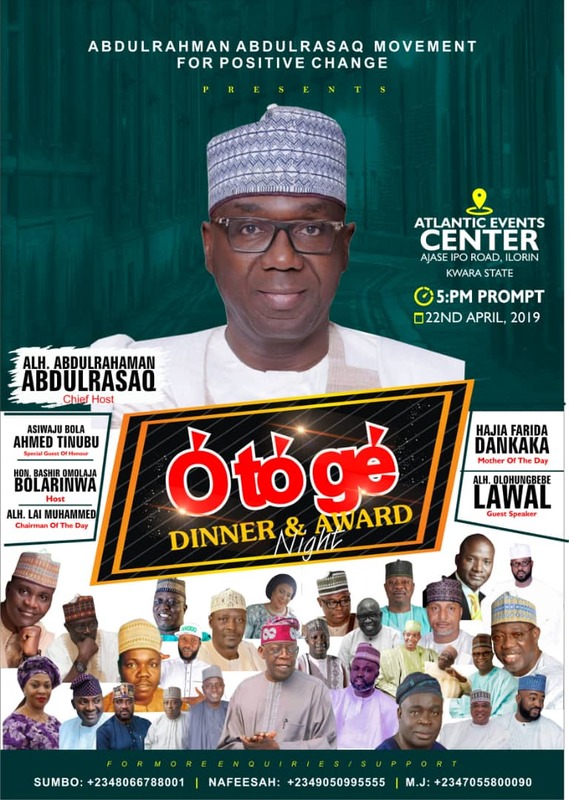 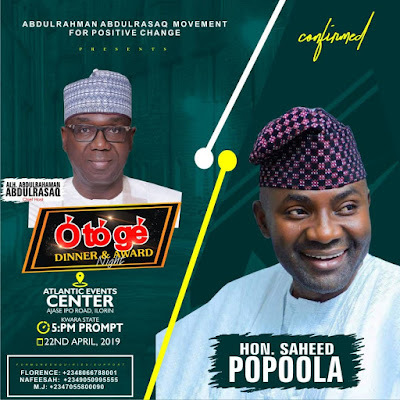 We will like to invite the good people of kwara State to "Otoge" Dinner and Award Night. 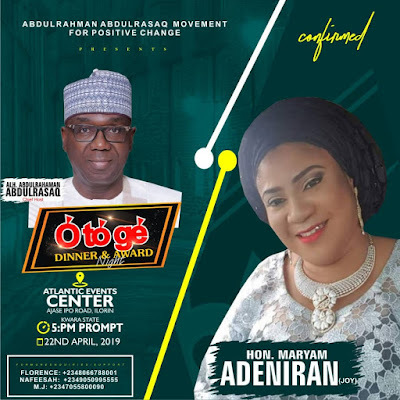 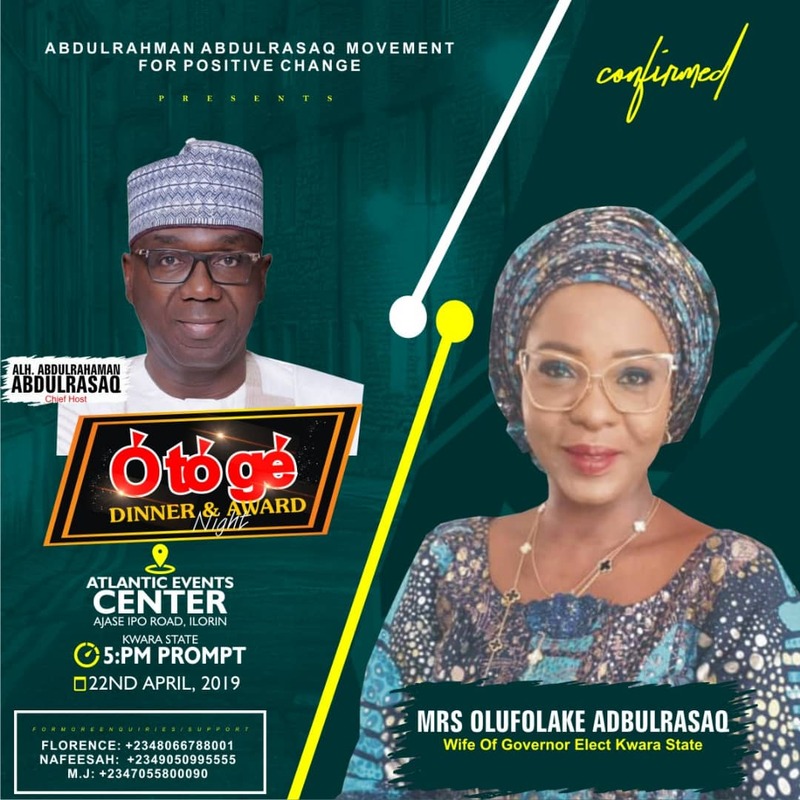 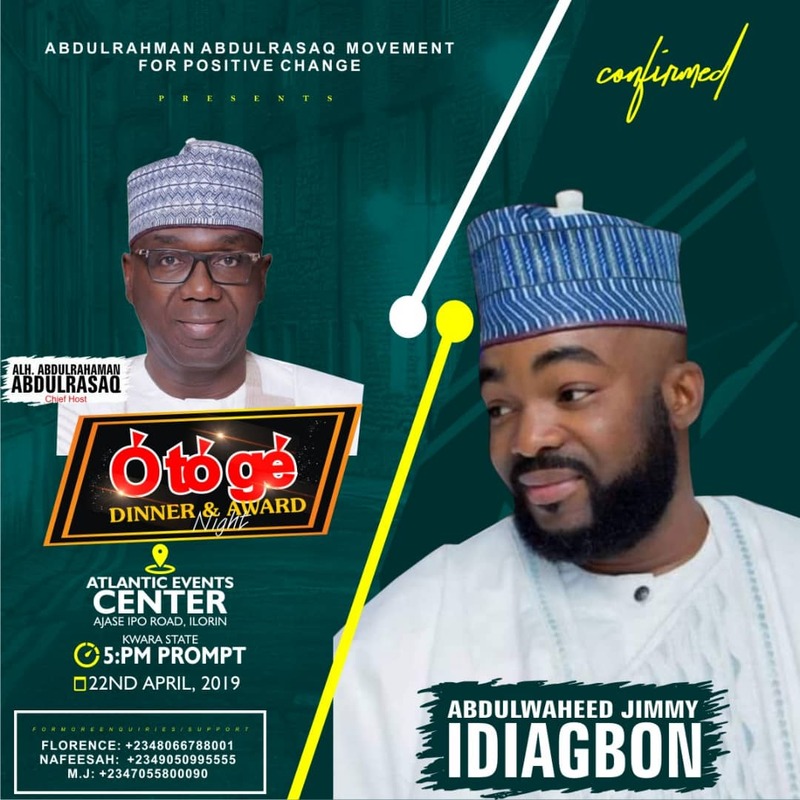 The “O TO Ge” Dinner and Award night is an event put together to celebrate the achievements of the “O TO Ge movement and it is also avenue to remember icons who lost their lives during the struggle.